Assistantships are a way of funding your graduate education. They are more often awarded to PhD students than to master’s students (though a department may sometimes have funding available for exceptional master’s students). You may be awarded a Teaching Assistantship (meaning you help teach a class, teach a section of a larger class, teach a lab, or the like – responsibilities vary by institution); or a Research Assistantship (meaning you work with faculty to support their research – your responsibilities will depend on your field). When and How Do You Apply? Most PhD programs will evaluate your application for funding (including assistantships, fellowships, etc) when they admit you, based on the same materials you submitted with your application for admission. Most universities also require that you file a financial aid application (including the FAFSA, if you are eligible for federal aid), so that they can also determine your financial need. Check the requirements for each university you’re applying to. Some universities offer “named” fellowships/assistantships through campus research centers or interdisciplinary teaching centers – these programs are likely to have independent application processes. Research your options carefully and make sure you get all your application materials in on time. If you’ve been admitted for a PhD and your department has not offered you funding (in the form of assistantships/fellowships), contact the department to ask whether students are able to apply for assistantships in other (allied) departments. For instance, the university might offer graduate teaching assistantships for interdisciplinary general education courses, and positions might become available late in the year. If you’re in English, perhaps the Composition department needs additional TAs. Find out what materials you need to submit (normally your CV, LORs, occasionally the application you submitted for admission). What Skills Should You Emphasize? If you’re applying for a TAship independently of your admission application, use your CV to highlight any previous teaching experience. In your cover letter, explain why pedagogy is important to you and why you see teaching as an important part of your academic training (and career). If you’re applying outside of your home department, make sure you can demonstrate you have the skills to do the job (for instance, if you’re an Applied Math student, can you also TA Physics? If you’re a Comparative Literature student, can you TA German?). In addition, you can often supplement your primary funding with work as a grader or reader during exam periods. Helpful resources on campus will include your home department, the office of graduate studies, and the financial aid office. By Dr. Rebecca Blustein, former Accepted admissions consultant. Dr. Blustein has a BA and PhD from UCLA in English and Comparative Literature. She formerly worked as a Student Affairs Officer at UCLA’s Scholarship Resource Center where she gained experience guiding applicants in areas of admissions and funding. Dr. Blustein’s clients have been accepted to top Master’s and PhD programs in dozens of fields across all disciplines. 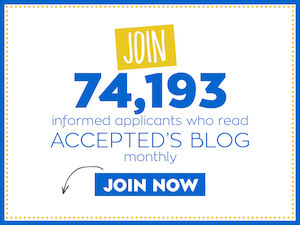 Want an admissions expert help you get accepted? Click here to get in touch! • Grad School Applicants: Think About Funding NOW! Last updated on May 23, 2017.